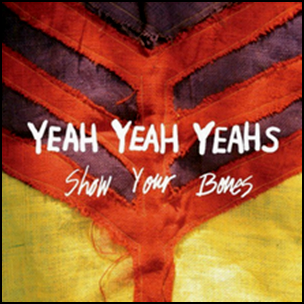 On March 22, 2006, “Interscope” label released “Show Your Bones”, the second Yeah Yeah Yeahs studio album. It was recorded 2005 – 2006, at “Stay Gold Studios” in New York City, and was produced by Squeak E. Clean, David Andrew Sitek, Brian Chase, Karen O and Nick Zinner. All tracks by Brian Chase, Karen O and Nick Zinner. On October 13, 2009, “Warner Bros” label released “Embryonic”, the twelfth Flaming Lips studio album. It was recorded in 2009, and was produced by The Flaming Lips, Dave Fridmann and Scott Booker. “Embryonic” was originally released as double vinyl album. 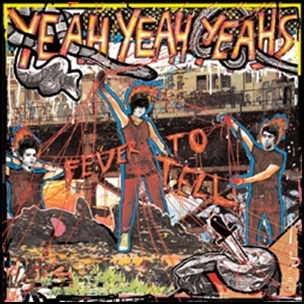 On April 29, 2003, “Interscope” label released “Fever to Tell”, the debut self-titled album by Yeah Yeah Yeahs. It was recorded in 2003, at “Headgear Studio” in Brooklyn, and was produced by David Andrew Sitek and Yeah Yeah Yeahs. The “New York Times” chose “Fever To Tell” as the best album of the year.In June 2005, “Spin” magazine ranked the album at number 89 on its list of the “100 Greatest Albums, 1985–2005”. “Fever to Tell” was certified Gold in UK by “BPI”. All tracks by Yeah Yeah Yeahs.